particularly polymorbidity and other common I.M. conditions. Young Internists from EFIM member countries who are interested to upgrade their existing clinical research skills may apply for a place at the Clinical Research Seminar. FDIME will provide funding for economy-rate travel and 3 nights hotel stay in Paris for 15 selected candidates. 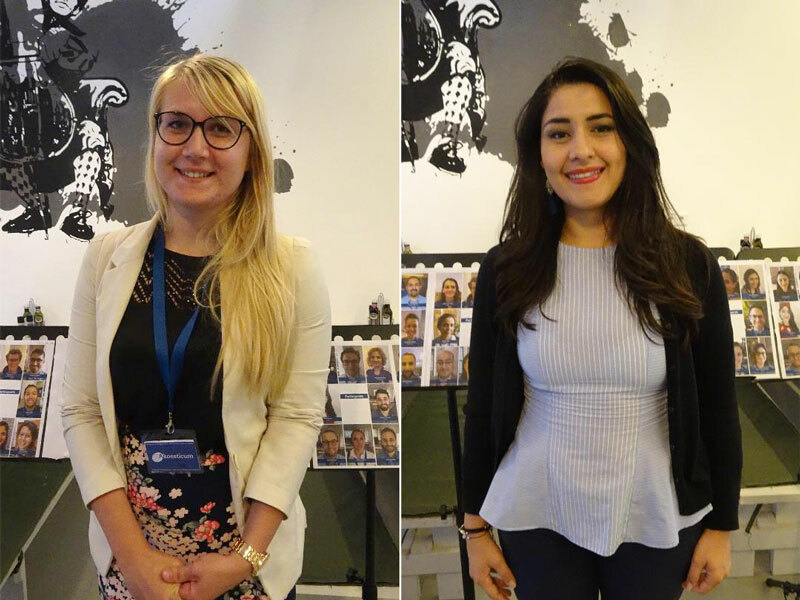 FDIME offers Bursaries to support Young Internists from low-income EFIM member countries to attend the next ESIM, hosted by the Dutch Society of Internal Medicine. Arrival: Sunday 23 June 2019. Departure: Saturday 29 June 2019. Course dates: Monday 24 June (09.00 hr) to Friday 28 January 2019 (16.45 hr). Venue: Akoesticum Ede, Nieuwe Kazernelaan 2 – D 426711 JC EDE. Bursary Application closing date: 31.03.2019. 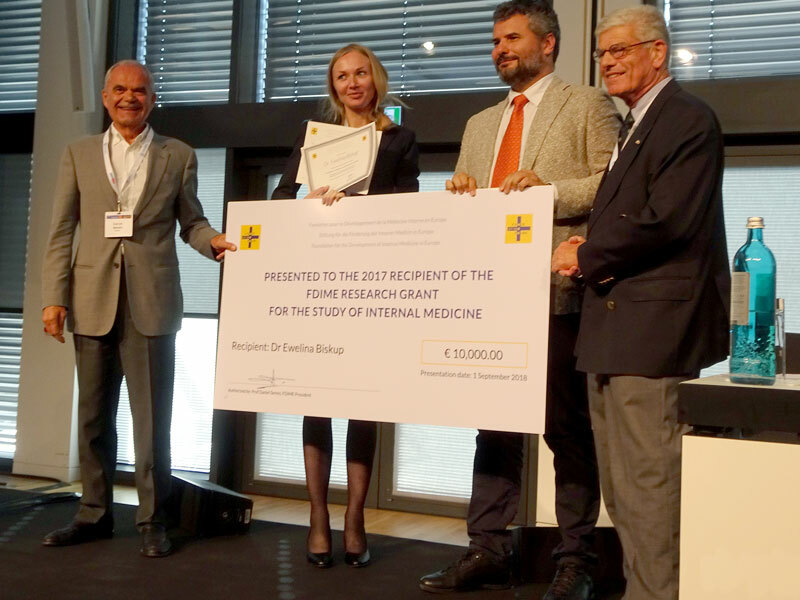 FDIME offers Bursaries to support Young Internists from low-income EFIM member countries to attend the next ESIM, hosted by the Finnish Society of Internal Medicine. Departure: Saturday 26 January 2019. Course dates: Monday 21 January (09.00 hr) to Friday 25 January 2019 (16.45 hr). Venue: Hotel Hullu Poro, Levi, Lapland. Airport: Kittilä (connections from Helsinki). Bursary Application closing date: 31.10.2018. Research projects including all fields of General Internal Medicine, particularly polymorbidity and other common I.M. conditions. 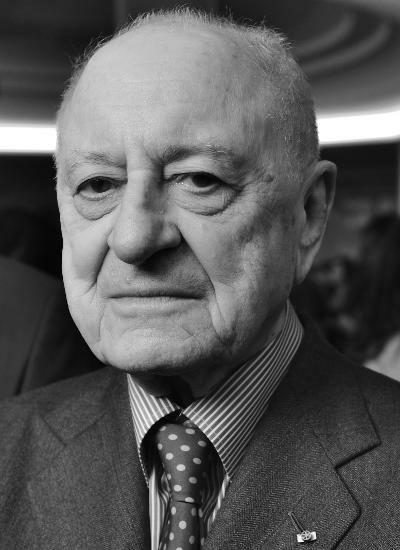 On September 7th, 2017, Pierre Bergé, a Board member of FDIME passed away. Pierre Bergé’s life is well known to the public. He was a successful businessman, an art collector, the owner of several major French newspapers, and of course the cofounder of Yves Saint-Laurent company. He was also an advocate of gays people rights and has highly contributed to the fight of HIV infection and AIDS in France and in Africa. Pierre Bergé has generously supported the Foundation projects for research in rare diseases and education of young internist coming from poor resources countries. He hosted the annual meetings of the Foundation General Assembly in the Pierre-Bergé –Yves Saint-Laurent Foundation in Paris. He always gave us precise and practical advices. We will miss the friendly conversations we had with him about our projects. He was an exceptional person. Pierre Bergé, membre du conseil de la FDIME est décédé le 7 septembre 2017. Sa vie, bien connue du public et a été largement rapportée par les médias. C’était un homme d’affaires efficace, un collectionneur d’art, le propriétaire de plusieurs importants journaux français et bien sûr le cofondateur de la maison Yves Saint-Laurent. Il fut aussi un avocat des droits des homosexuels et il a largement contribué à la lutte contre l’infection par le VIH et le SIDA en France et en Afrique. Pierre Bergé a généreusement soutenu les projets de la Fondation pour la recherche sur les maladies rares et la formation des jeunes internistes des pays à ressources limitées. Il recevait tous les ans l’Assemblée Générale de la Fondation dans les locaux de la Fondation Pierre Bergé – Yves Saint- Laurent à Paris. Ses conseils étaient toujours avisés et pratiques. Les conversations amicales que nous avions avec lui à propos de nos projets nous manqueront. C’était un homme d’exception. 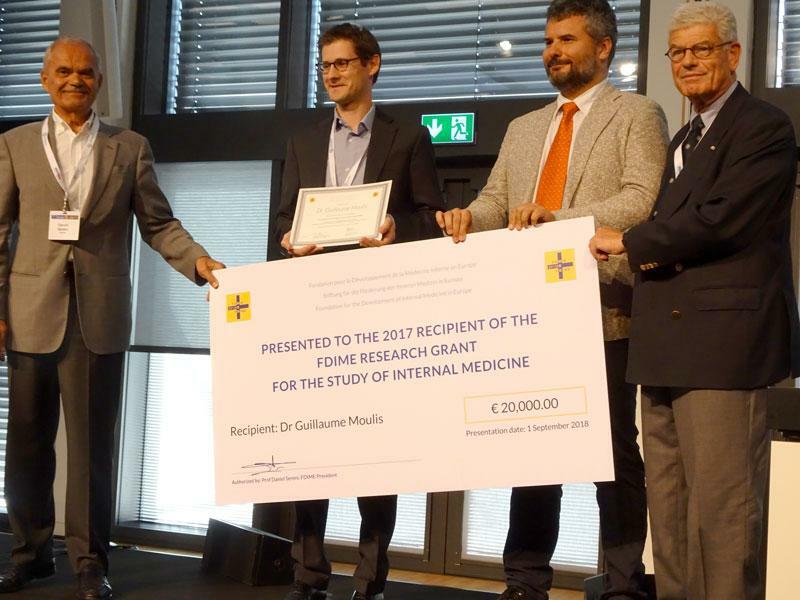 During the excellent 17th ECIM in Wiesbaden (Congress President Professor Petra Maria Schumm-Draeger) the two 2017 Research Grant Recipients received their official Cheques and Certificates from Professor Daniel Sereni, President of the Foundation (FDIME). Both Grant recipients gave a short presentation: Dr Guillaume Moulis from France (Thrombocytopenia at hospital admission and mortality risk: A population-based study in Denmark; study undertaken in Aarhus; € 20.000) and Dr Ewelina Biskup from Switzerland (Prognostic value of PGC-1α plasma levels in male breast cancer; study undertaken in Shanghai; € 10.000). See photographs. 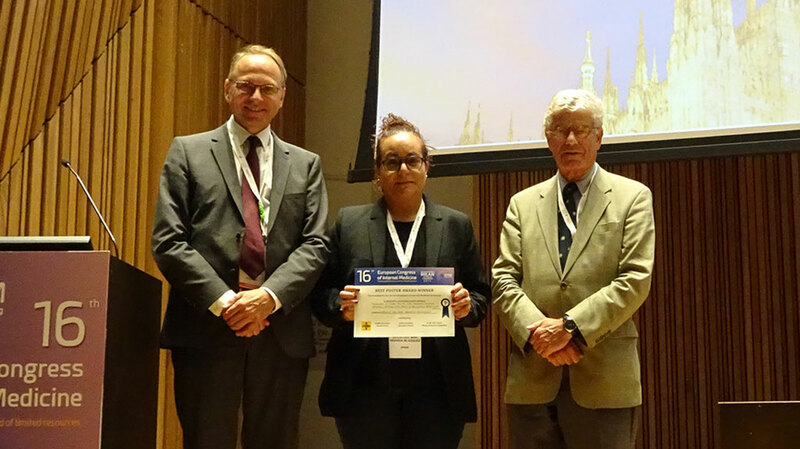 Also during the same session the three Best Poster Awards were presented by Professor Daniel Sereni, Dr Jan Willem Elte, FDIME Secretary General and Professor Lorenzo Dagna (other committee members were: Professor Petra Maria Schumm-Draeger and Dr Ieva Ruza, President of Young Internists). 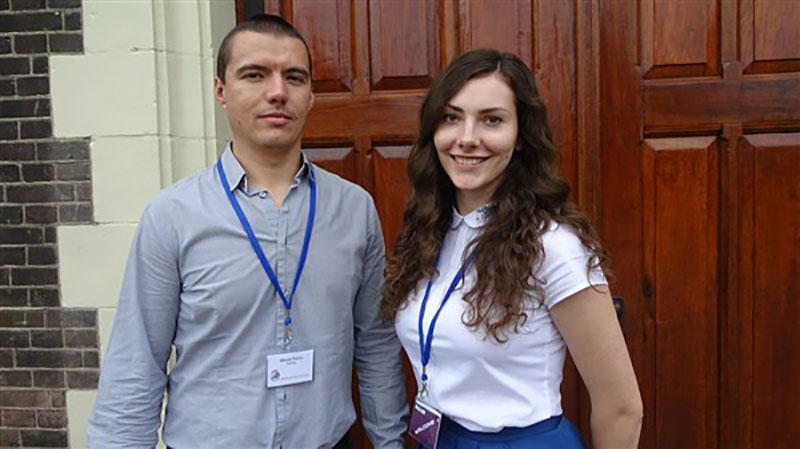 They respectively received € 500, € 300 and € 200. This summer (24 June – 30 June) I had an opportunity to participate in European Summer School of Internal Medicine (ESIM) which was held in Netherlands, Ede. The mains goals were to promote medical education and to make a place for exchange and friendship for young internists from sixteen different European countries. The central theme was “Internal Medicine in Harmony” and included several topics like basic problems in internal medicine, clinical reasoning, patient safety and care in virtual world, sonography for internists and multidisciplinary work in harmony. Summer School of Internal Medicine was organized and consisted of several theoretical lectures, interactive workshops, practical lessons in ultrasonography and clinical case presentations which were prepared by participants. I was impressed by the quality of theoretical presentations and high level of lecturers. One of the most memorable lectures was about obesity – “Is obesity a disease” which was prepared by dr. Dicker – head of Internal Medicine Department and Obesity in Israel. He showed us recent researches about pathophysiology and development of obesity, the main differences in metabolism between obese and unobese patients and treatment strategies. I really enjoyed the way how lecturers handed their experience to the audience – young doctors who are towards the end of their training in Internal medicine. They tried to demonstrate their wide experience and knowledge through simple, but sometimes also through complicated clinical case study presentations. I found this way very attractive and effective for the audience - it was easy to perceive the information and analyze mistakes and failures. 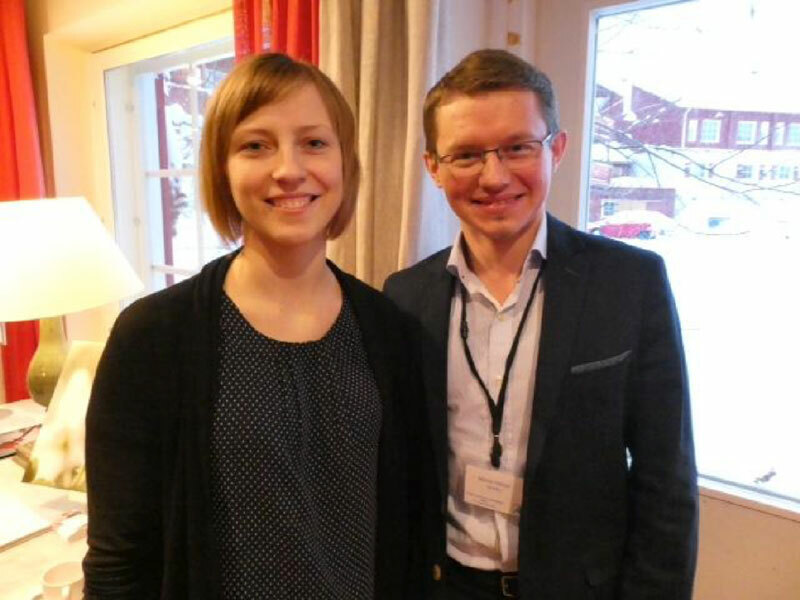 Thanks to FDIME bursary I had the possibility to attend the ESIM Winter School in Finland, Levi 21.-26.01.2018. From few of my colleagues I heard only great stories, but it was far beyond better than I excepted. First, the location. Of course, hearing the weather forecast had me scared a little bit, -30°C is no joke, but with a little bit of preparation (and layers, layers, layers) it was great to finally experience a real winter and winter fun, especially the husky safari. The atmosphere itself was amazing. Starting from the lectures and lecturers, and of course the participants – all the sharing of experiences and being able to discuss not only between ourselves but with faculty members as well. Everybody was open and up for an interaction. It was a great balance between lectures, workshops and clinical cases. From each of the lecturers and clinical case presentations there was something to take away for yourself, how to perform, present, structure your presentation and answer questions. 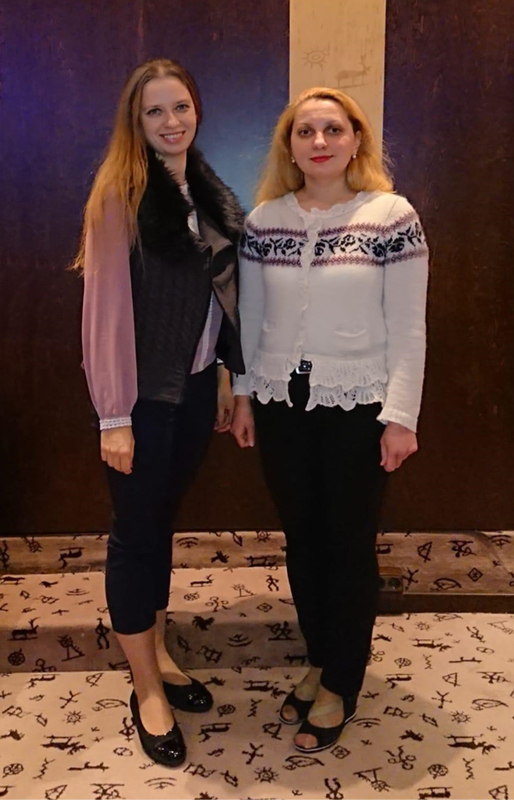 The Workshops and clinical cases was a great way to put our minds together and discuss, as well as to see how things are approached from a different perspective; how and what is done as a standard, what is available in different countries varies. Out of 700 posters submitted 10 were chosen to report their research during the FDIME Best Poster Award Ceremony. The jury consisted of Nica Cappellini, Runolfur Palsson, Pedro Conthe and Ieva Ruza. The prizes were presented by Runolfur Palsson (EFIM President) and Jan Willem Elte (FDIME Secretary General). Zane Svikle (Latvia) and Nikola Panic (Serbia). I was sure I will learn many new things in ESIM, but in reality, I got so much more than expected. I expanded my mind and refreshed my passion for Internal Medicine. My best experience was with the sonography workshop, lecture on delirium and “choosing wisely” workshop. I have met many brilliant colleagues and lecturers. I am really grateful for the opportunity what FDIME has been given for me offering the bursary to attend the ESIM. I had opportunity to attend European Summer School of Internal Medicine (ESIM) in Ede, Netherlands in period 25.06.2017.-01.07.2017. thanks to the FDIME Bursary. I would like to point out that the Summer School has not only met my expectations but far beyond. The lectures and workshops were designed in order to meet the needs of internal medicine residents all over the Europe. The quality of lectures was exceptional and lectures useful from the point of view of everyday clinical practice, but also teaching us how to recognize and treat some conditions we do not encounter very often. Lecturers were interactive, including and encouraging residents to participate in the discussions, keen to hear our comments and experiences. I would definitely recommend any young internist in Europe to take part in this great event and for those who need a support I would encourage them to address FDIME with their application as I am sure that their quality, willingness to learn and desire for improvement will be recognized. FDIME is a non-profit organization, fully dependent on donations to support Internal Medicine. Donations are exclusively used to fund future projects. Would you like to support FDIME?